Jordan Brand will be expanding their Air Jordan 1 lineup throughout 2019, which will include another release in traditional classic colors. Dressed in a Black, White, Sail, and Gym Red color scheme. This Air Jordan 1 features a White leather upper with Black overlays and Red accents on the collar and Swoosh logos. Nike Air tongue labels and branded insoles completes the design. Look for this Air Jordan 1 Retro High OG “Gym Red” to release on June 29th at select Jordan Brand retailers and Nike.com. The retail price tag is set at $160 USD. UPDATE: Nike releases official photos of the “Gym Red” Air Jordan 1 High OG in grade school sizing. UPDATE: New photos via ajsole of the upcoming “Gym Red” Air Jordan 1 High OG. A release date is currently set for June 29th. UPDATE: Here are new detailed photos via @hanzuying of the “Gym Red” Air Jordan 1 Retro High OG releasing late June. UPDATE: Another set of photos via @dirtymoney823 of the upcoming “Gym Red” Air Jordan 1 dropping this June. 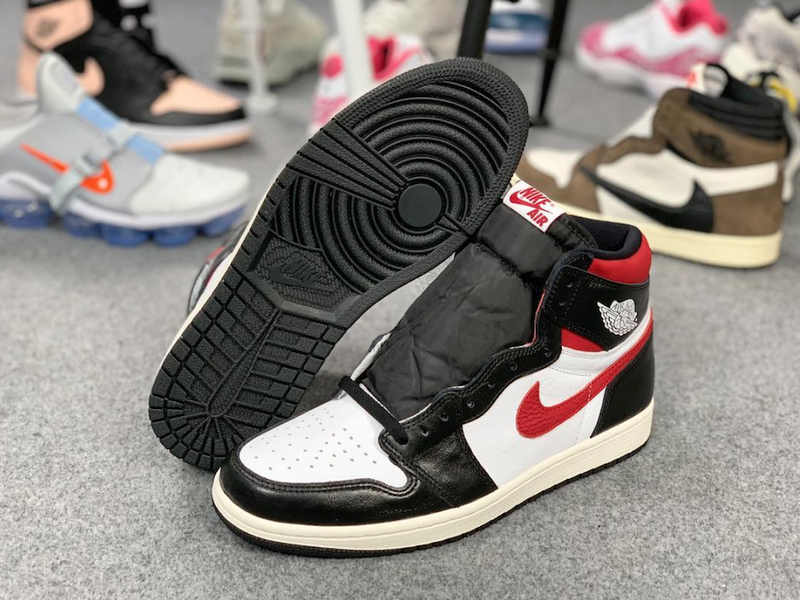 UPDATE: Detailed photos via @koala_hsh of the upcoming “Gym Red” Air Jordan 1 Retro High OG that drops late June 2019. UPDATE: Here is the first finished look at this upcoming Air Jordan 1 that has a lot of similarities to the recent “Not For Resale” Air Jordan 1.